I'm not sure where it has come from since I grew up in the same house for almost 18 years never moving but always LONGING to move. Maybe that's where my love for houses has come from!?! I have a love for houses new and old, historic, log cabins, rustic homes, castles, victorians...I just LOVE houses!!! I often try to think of what my favorite or forever house would be like...would it be large or small, new or old, historic, log cabins, rustic homes, castle or victorian...I still haven't figured it out...I just LOVE houses!!! Since leaving my parents home at 18 years old I have moved 10 times in 21 years and this is the longest time I have been in the same place for more than 4 years. I love our house...it's beautifully decorated and paid for...what more could a girl ask for...except to maybe have the rest of the house finished. Yet, I still get pleasure looking at houses, touring houses, dreaming of houses...I just LOVE houses!!! I love the architectural details, the wood, the brick ~ pretty much everything but a dual & boring house. 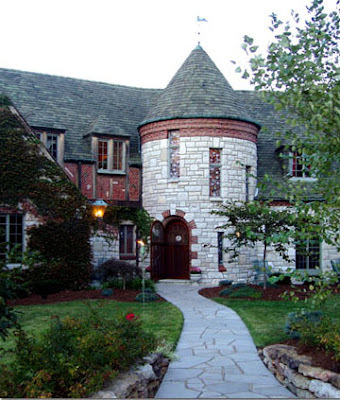 The "Tiffany" castle in Kansas City ~ photo courtesy of Dupont Castle. 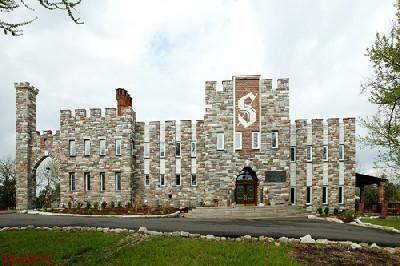 The "Stuart" castle in Eureka, MO ~ photo courtesy of Dupont Castle. 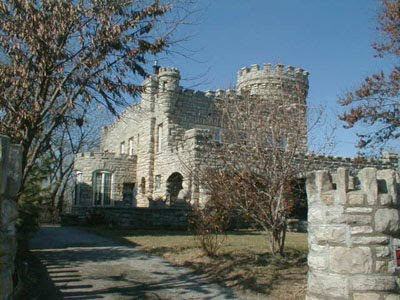 The "Montebello" castle in Imperial, MO ~ photo courtesy of Dupont Castle. 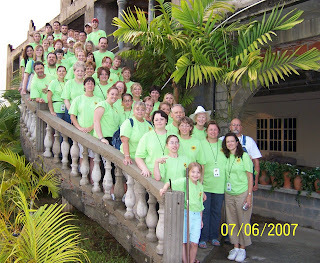 What about you...what kind of house do you like?